In any case, Thinktastic released ChatPoint yesterday. 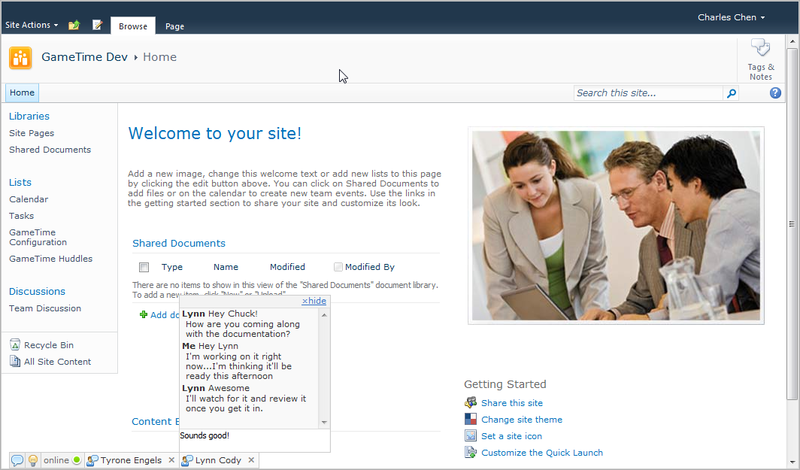 It brings integrated, web-based chat to SharePoint 2010 (and actually would probably work fine in 2007 as well with some slight modifications). Check it out and hit the contact form if you’re interested. Our goal is to eventually bring even tighter integration with GameTime so that you can get live notifications when things change in SharePoint (in addition to the basic chat functionality). 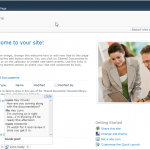 Previous story HTML5 on the Desktop — Finally!